ukdirectseller has no other items for sale. 4 circut accessory block! Perfect for the money! 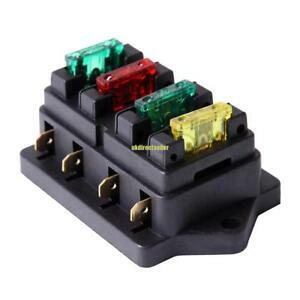 Great little aftermarket fuse block for accessories! This fuse block is exactly as represented. Good quality and meets my expectations. Effective and inexpensive. Perfect for my 12v RV uses.